Let's hope that 2017 will be a much happier, healthier year for us all. I do hope that you all had a lovely Christmas and New Year and spent time with those that mean the most to you whoever they may be! I really enjoyed my Christmas with my family but they all ended up getting the lurgy that is going around at the moment and it has now found it's way to me and Paul, my husband!! Today I thought that I would show you some That's Crafty acrylic stackers that I made last year and both Kirsten and I did not get time to blog them, so we thought that we would save them for January. It is also something that I want to teach this year as they are fabulous to make and really quite addictive once you have made one!! They comprise of four layers, one mdf and three acrylic. Two of the acrylic layers are thinner than the other one and it is up to you how you wish to sandwich them with the screws that are provided. 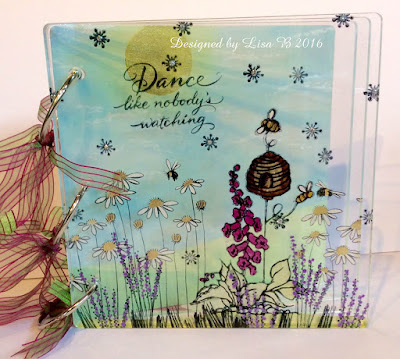 The second project that I have to show you today is a Acrylic Book, now I really love these as you can pretty much do anything to them from stamping and painting to adding rice papers to them, photos, treating them like a scrapbook......whatever you want to really. 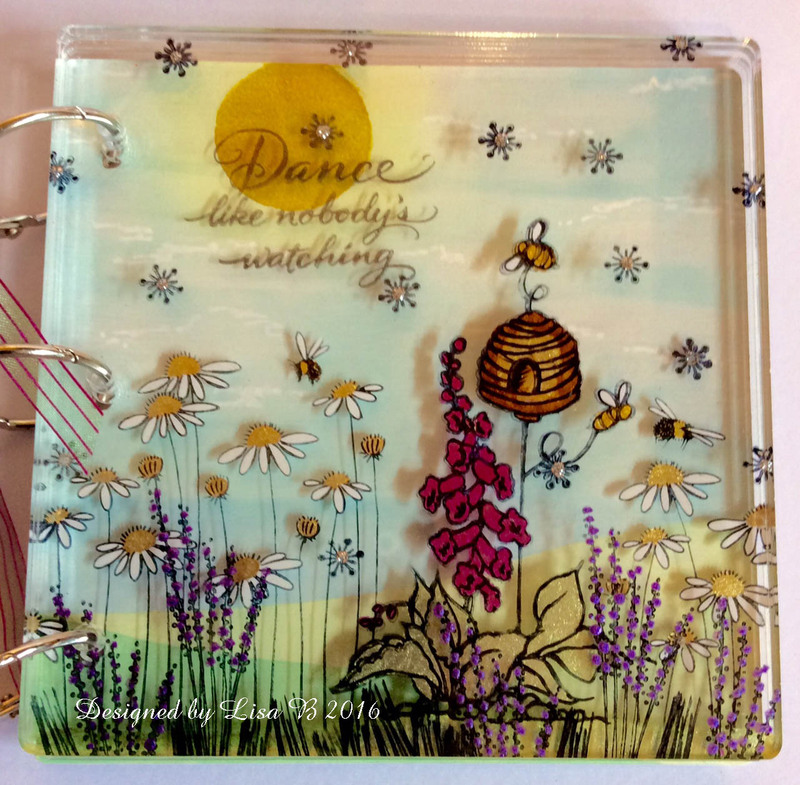 I just love the way you can see through the acrylic to other pages. I chose not to use the mdf front on this one as it comes with a front and back mdf cover and three inside clear acrylic pages. Well I do hope that this is something that inspires you and you fancy having ago as these gave me so much pleasure to create. 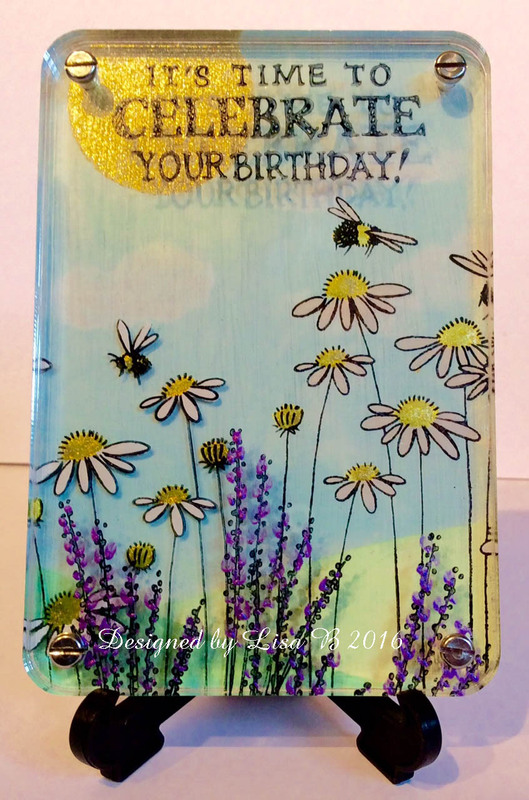 Labels: Imagination Crafts Starlight's, Lisa B, Lisa B Designs, Lisa Pearce, Mini distress inks, Stampendous, That's Crafty! These look so beautiful Lisa, love them! Thanks very much Fliss, I am totally addicted to them! I never get tired looking at these, they're so lovely. A Vintage Rice Paper Card for a Special Someone! Starlights, Fabric and a Practical Make!